My whole approach to food has changed completely. I don’t miss the junk food or sweets that I used to eat constantly. Friends, family and coworkers are constantly asking, “Hey what did you do?” or, “How did you get so lean so fast?” That is probably the best feeling you can get when other people are amazed and want to discuss heath and fitness. I lifted pretty heavy weight for several years before finding Bigger Leaner Stronger but I did notice strength gains on a couple lifts. The lifts that I had neglected in years past I have begun working on so those have steadily increased. I thought it would be difficult because every time I have tried a diet plan in the past I would over eat during a weekend or a holiday.. destroying whatever progress I had made. But counting macros and using Flexible Dieting became almost like a game to me and I began to enjoy the process after only a few weeks. 90 days has flown by and the BLS program made that possible. The approach to dieting was the biggest change for me and I really enjoy it. When I started I thought it would be much more difficult than it was and the weight began to drop quickly. By the end of the first month I began to see a lot of changes in the mirror and that helped keep me motivated. I hit my weight loss goal and my target body fat percentage. However my results are incomplete… once I dropped the weight and took my 90 day photos I had mixed feelings because I could see that I had made great progress but I have several areas that I really need to work on. I have neglected these areas over the past couple years (before finding BLS) mainly abs, shoulders and legs. This is not entirely a bad thing because now I am just as motived to start my first bulk as I was when I began seeing progress during my cut. 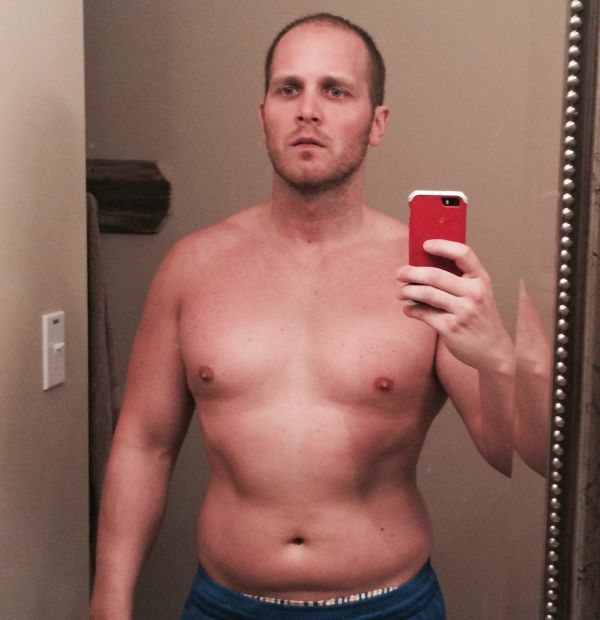 I have tried P90X, Low Carb, and just the usual “eating better” type stuff and none of them lasted more than 4 weeks. This is hands down the best program that I have tried or come across. 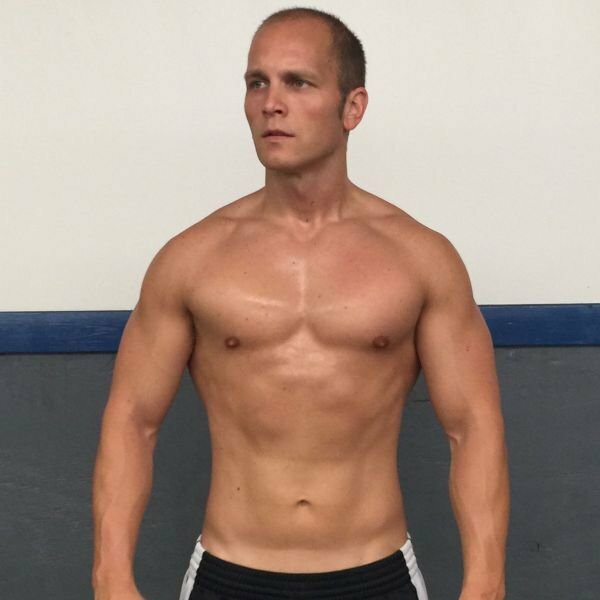 The workouts changed my whole approach to lifting and did away with all of the broscience tips I have received over the years. I have friends that tell me what their routines are now and I quickly tell them to grab a couple of BLS… I just wish I had found the program 5 years ago and I would not feel like I had wasted all that time. I am much more confident in my physique. I was always disappointed with my body in the past because I knew that I could lift heavy weight but at 18-22% body fat the muscle that I did have was completely covered. I have no problem going to the beach now. I have more energy to keep up with my 5 year old son Jaxson and am looking forward to having my daughter Charlee Grace arrive in 3 months. The key is to commit mentally to the program. When you pick up that dessert think to yourself, “What am I really getting out of this?” “10 seconds of joy and a physique that I’m unhappy with.” Before long you will not miss the junk food. During my cut I had to a vacation, a wedding, Memorial day, Fourth of July, and several weeks traveling for work. I would not have reached my goals if it weren’t for BLS. Once you press through the first two weeks and change your habits the program will feel natural and fun. I currently have 4 people starting BLS after seeing my results and they have lost the weights below in the first 3-4 weeks of downloading the book. My wife plans to start Thinner Leaner Stronger after she has our daughter. Muscle for Life, Legion Athletics, BLS are amazing. You guys have changed my life and I will be a life long customer! Thanks to Mike and the entire staff!